The Catholic University of Eastern Africa, together with several partners in development, is offering scholarships to needy students in Kenya. The university will evaluate and screen each applicant according to: economic standing, scholastic performance, personality, leadership skills, demonstrated responsibility to the University ideals/activities, and cooperation in community service. The scholarship will provide partial financial support to full-time students of the Catholic University of Eastern Africa who will pass the screening. Students who have not taken their first year in the university and students who are in their final year are not eligible for the scholarship. The Jomo Kenya University of Agriculture and Technology is offering scholarships to needy students in Kenya. The University is located in Juja, 36 kilometers North East of Nairobi, along Nairobi-Thika Highway. Kenyatta University offers three types of scholarships, that is, OVS Scholarships, KU Internal Bursary, and the Postgraduate Scholarships. The OVS Scholarships is a grant for orphans and vulnerable students from Kenya who are looking forward to achieve an undergraduate degree in the university. The grant will provide full tuition assistance provided that the student maintains a C+ mean grade in KCSE. Meanwhile, the KU Internal Bursary is intended for students who are already enrolled in the university. The grant is awarded based on the need of the vulnerable student. On the other hand, the Kenyatta University Postgraduate Scholarships will be given to 20 scholars who will enrol their graduate studies in the university. The scholarships will be granted according to academic performance. The Strathmore University, in collaboration with public institutions, private entities and individuals, is offering assistance to needy students by helping them tap resources to fund their post-secondary education. The university aims to provide for deserving students who lack the financial ability to pursue their college education. With this mission, the university has organized an extensive line-up of assistance programs for students who are in need. This school does have a student financial aid department that helps students in their time of time need. This best option is what is called the Worthy and Needy Student Endowment Fund. It was started to help individuals who are already registered at the school. In order to quality you must have #1 been at the school for at least 3 semesters, #2 have a GPA of 2.50 and #3 been employed an average during this time. Applications can be picked up at the Dean of Students office. Awards are only granted once a year and are for the 2nd semester. The Rattansi Educational Trust, in its vision to eliminate poverty by educating needy students, have offered scholarships to Kenya students in need to assistance to finance their post-secondary education in the University of Nairobi. On the other hand, the Aga Khan Foundation, a non-denominational, international development agency, is also in collaboration with the university to support needy Kenya Students. The foundation was organized in 1967 by His Highness the Aga Khan. The Aga Khan Foundation has the same mission of eradicating poverty through the development and promotion of creative solutions to problems that impede social development, primarily in Asia and East Africa. The University of Nairobi, in collaboration with the Aga Khan Foundation, through the efforts of Prof Muriuki, is now offering scholarships to needy Kenya students admitted in the University of Nairobi whether postgraduate or Undergraduate students. Aside from the Aga Khan Foundation and the Rattansi Educational Trust, the university is also tied-up with the PATHWAYS Leadership for Progress. The organization has a Kenya Scholarships Leadership training program that are granted to recipients based on grades, their KCSE, financial need, community service, references, and their project proposal. is an environmental innovations fund set up in memory of Prof. Wangari Maathai that is aimed at developing action-oriented young people with strong values and commitment to the conservation of the physical and social environment in Kenya. The fund has been established by The Rockefeller Foundation, The Green Belt Movement and Kenya Community Development Foundation (KCDF). The scholarship fund will be awarded annually, with the first cycle being granted during the 2013 academic year. In this first year, the tertiary education scholarship will be awarded to a young woman aged 18 to 25 years, who has demonstrated passion and personal commitment to environmental conservation. This individual must have also demonstrated their ability to successfully mobilize people and provide leadership in environmental advocacy. This is a great site for Kenyans. The above link preforms a search and will show you the most recent scholarships that are listed. If that does not work then simply write scholarship in the search box on their website. has Developed an effective way of Counseling Highschool Graduates and Placing them in Accredited university/College. Educonnect.co.ke is open for students registration and assist then in regards to their Education and career choice. Vision: : Strengthening Kenyan students and youth through career Guidance and placing them in accredited institution to ensure a more productive work force. Mission:Assists students in better understanding how their values, interests, skills, passions and world outlook influence their career decisions hence making the right career choice in the right institution of higher learning.
. I was able to do KCSE in 2013 and got a B+. My dream of becoming a chemical engineer was short-lived since I didn’t have enough money to join college. Please help me out in getting a scholarship in any university so as to pursue my dream course. My names are Evans Owiti Okoth,I sat for my Kcse final exams 2015 and attained a mean grade of C+,I never intended to halt academically at this level….my family is poor and no one can afford my expenses to help me get to university to persue my dreams under Mass communication, so far I have been saving and the amount I have is too petty and embarrassing to disclose, please I need a hand to help me get started, my contact is 0708531487.thanks for your time.I will value much your effort. I scored a B_ 59 points kcse 2014. Having a single father and from a humble family, I kindly seek financial help to further my dream career. Tel. 0707619936. I will be grateful for any assistance given. I am Lucy Wanjiku, was orphaned at tender age. I scored a B plain of 61 points in last year’s Exam. I will appreciate if you can assist me to realize my goal of studying Bsc nursing whereas i will be in a position to give back to my community and world at large for the much they have sacrificed on my behalf. Am a Kenyan from Turkana..I scored a B- minus at 2015 KCse….single parent and looking for aid to foster my studies. I am Kenyan from an humble family.I got B+ and am determined to pursue nursing.Please help me. 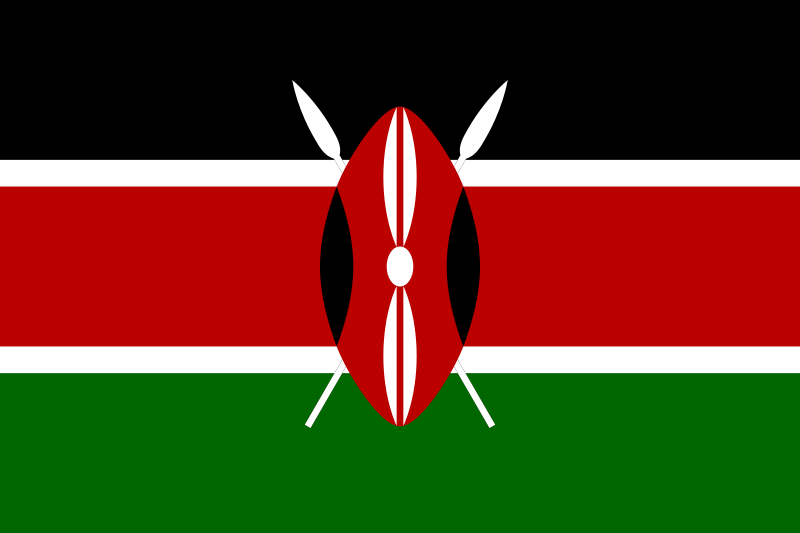 I’m a Kenyan by nationality, from a humble background. I got B 64pts and I have a passion to do Bsc.Civil Engineering. I would like financial assistance to pursue my dream inorder to bring prosperity & inovativeness in the world’s construction sector. Please help me. I am P1 teacher with a C+ graduated 2013.I come from a very poor family.Am single parent(Mother) looking forward to make my dream come to light by pursuing degree in any chartered University.Any assistance accorded is highly appreciated. am a kenyan, i atteined a C+ in my k.c.s.e 2012. Am looking for a scholarship to achieve my dream as am for a poor family. I am a graduant of last years 2013 exam.I got an A- .i would like to pursue a bachelor’s degree leading to actuarial science ,which is impossible in my current financial state.Please consider my request for a scholaship. I am a kenyan who completed 2011 and attained a mean grade of B+,i have failed to join university because of financial difficulties.Your assistance will be highly appreciated. Iam a kenyan student,i got a B- (57 points),am currently a schoolbased student of Masinde Muliro University,a first year,i kindly request for your financial support since my parents are unable to raise it. I’m currently a self-sponsored CPA student and really wish to study a bachelors degree in commerce. l got an A-,an orphan & needy brought up in a childrens home can i get a scholarship? Am a Kenyan citizen,did my KCSE on 2012 and attained an A-.Would like to apply for the a scholarship to pursue acturial science in any univsersity either localy or internationally. Am a Kenyan citizen who had formely attended high school last year and scored C+ OF 47.MY AMBITION WAS TO STUDY ELECTRICAL ENGINEERING.I kindly appply for a scholarship? Am a Kenyan citizen who had formely attended high school last year and scored B+ OF 73.MY AMBITION WAS TO STUDY PILOTING.How can i make it? Am a form four leaver with a B plain of 61 points looking forward to have my dreams fulfilled but due to fanacial constraints am unable to go ahead please help. Am Mercy a student at JKUAT in my fourth year but due to financial constraints i could no countinue,from a humble background need some help to complete. Am a Kenyan citizen from a humble background.I sat for 2011 KCSE and got an A- of 79pts.I’ve been called to persue law in UoN as from next year May.I request if I can get any assistance. Am a kenyan citizen,a PI graduate bt not yet absorbed by gov’t.can I get a scholarship to get a degree in special education in any university.I got a c plain KCSE. i scored a b+ in my kcse called to join b arts in ku cant even make astep i depend in my grangmum who is now 90years lost my dad passed when i was remaining 2weeks to sit for my kcse and my mum passed when i was in form three i come from a poor background am reguesting help from any well wisher can call 0727065775.God bless.